Caroline Lloyd-Evans is the founder of CLE Consulting & Training. Born in Cambridge, she returned to work in business and therapy in 1986. She has nearly 30 years’ experience supporting and developing individuals, couples and teams through training, counselling and coaching for business and personal needs. 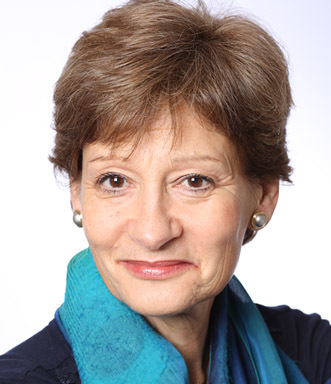 She is currently a Trustee of Cambridge Citizens’ Advice Bureau and founding Director and Company Secretary of BioBridge Ltd. She has been a facilitator, trainer and coach at many organisations including the Centre for Entrepreneurial Learning and the Judge Business School at the University of Cambridge. She began her counselling career with Relate and has subsequently broadened her expertise in comprehensive aspects of training, mentoring and coaching for individuals and businesses, including management development, family mediation, resolution skills and cancer and illness support. She is recommended by the Cambridge Family Dispute Resolution Group, for couples contemplating or going through separation or divorce. As a Macmillan-trained Cancer Supporter, she helps those coping with their own illnesses as well as supporting members of their family and, in the business context, their colleagues. Caroline was Chair of Cambridge Businesswomen's Network, a non-executive director of the local NHS Primary Care Trust, Businesswoman of the Year finalist in the Business Excellence Awards, for her work with CLE Consulting & Training and as Chair of CBN. She has also been an East of England Enterprising Women’s Ambassador and an accredited coach for the regional initiative Winning Leaders. In 2006 she battled with serious illness and had to take 6 months off business to practice what she preaches, digging deep and proving that a positive attitude and determination will take you from a difficult place to where you want to be. She empowered herself using one of the mantras she gives her clients – “If it is to be, it’s up to me”. To ensure she keeps herself balanced, she does Pilates, tennis, French and acting improvisation with the Cambridge Improv Factory. The skills learnt and practiced with improv are all about making your fellow actors shine and feel good and allowing yourself to develop positively and with confidence: very much like coaching and counselling!